It’s been just shy of four weeks since Samsung launched its 2018 Galaxy S smartphone in the form of the Galaxy S9 range. We’ve now had about that amount of time with the phone, and you’ve most likely read Jason’s initial hands-on piece published early in March. Now that we’ve had a little more time with the phone, it’s time to take a closer look through the features, specifications and more to bring you the definitive Samsung Galaxy S9 review. This review is a collaboration between Chris and Jason, who respectively have been reviewing the Galaxy S9+ in Lilac Purple, and the smaller Galaxy S9 in Midnight Black. There’s more than just size between them; the larger Galaxy S9+ features two rear cameras (a first for Samsung’s Galaxy S line, though Note 8 had it last year), as well as a larger battery and more RAM. Some of this is to be expected – a larger body needn’t mean just a larger screen – but some of it is a welcome inclusion. The two rear cameras, for example, make for some fantastic photography. There is, however, an element of “same same” here. In the hand, there’s very little between last year’s Samsung Galaxy S8 and this year’s Galaxy S9. In fact, with a case, they’re visually indistinguishable. 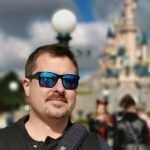 It feels a bit like we’re reaching a bit of a slowdown in innovation in the mobile space, and while there’s little doubt Samsung has worked some magic in “reimagining” the camera, the difference between the S8 and S9 is nowhere near the difference between – say – the S5 and S6, or even S6 and S7. When phones are so expensive – the top-spec Galaxy S9+ tops out at just shy of $1,500 – it almost feels like we’re entitled to a bit more innovation than we’re receiving. However, one wonders what smartphone manufacturers could usefully innovate on to keep us satisfied. That’s a question for another day. What’s inside a Galaxy S9? First, what’s outside. As has become a bit of a trend, Samsung’s Galaxy S9 range is IP68 certified, meaning it can take a dip in the pool, get all dirty, and take a shower to freshen up. This should be the de-facto standard in smartphones which are – let’s face it – designed to be taken and used literally everywhere. Australian Galaxy S9’s feature only a single SIM option, though in overseas markets, a dual SIM option will be available. It’s a shame the outright models sold here aren’t dual-SIM, because the only reason they all aren’t is because of cranky carriers. 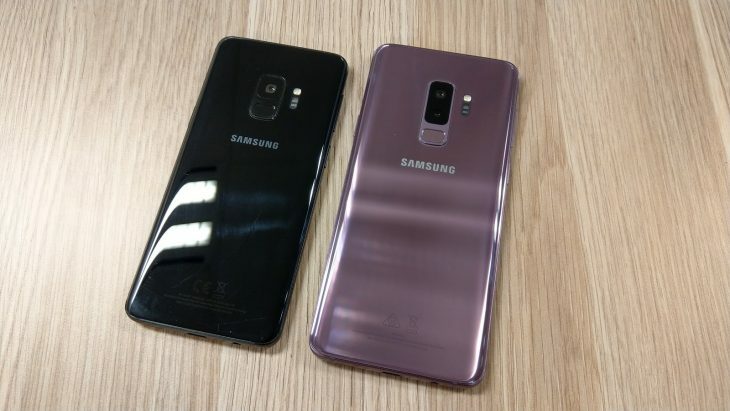 The other major differences are size – 158.1 x 73.8 x 8.5mm for the Galaxy S9+, and 147.7 x 68.7 x 8.5mm for the smaller Galaxy S9, and weight – 189g vs 163g. The display, too, accounts for much of the size difference. There’s a large 6.2-inch SAMOLED in the S9+, and a smaller (though not by much) 5.8-inch in the S9. It’s after this that the differences essentially stop. Both phones feature Samsung’s in-house Exynos 9810 in Australia and across Europe, the Middle East and Asia, with limited markets (USA and China) receiving Snapdragon 845 processors instead. In practice, there should be no noticeable difference between the two configurations, and if anything, the Exynos chip is – on paper, at least, slightly faster. 4GB of RAM is standard for the S9, which jumps to 6GB for the S9+, though the difference isn’t really all that obvious to the user. The primary rear camera, too, is the same – a 12MP camera with variable f/1.5 to f/2.4 aperture, a first for smartphone cameras. The Galaxy S9+ comes with a second 12MP camera with fixed f/2.4 aperture and 55mm equivalent telephoto lens (which can achieve some interesting results, see below). Front cameras are the same (8MP, f/1.7), USB-C is standard, as with all the standard range of connectivity options including Bluetooth 5.0. It really should come as no surprise that Samsung’s thrown the best of everything inside the Galaxy S9 range. Probably the only disappointment is the slightly lacklustre battery capacities – only 3,500 mAh in the Galaxy S9+, and 500 mAh less for the S9 – but given Samsung’s past experience with batteries, perhaps not overdoing it is a wise move. It’s worth noting, though, that while the battery capacities probably could be a little higher, the Galaxy S9+ (at least) will last all day with reasonable use. For those who hammer their phones, fast charging is supported and can add an awful lot of juice in a short time, and you don’t have to use Samsung’s own charger to access it – even the Pixel USB C charger, or any generic cigarette-lighter fast charger car adaptor will charge it quicky. This makes a big difference. What runs the Galaxy S9 range? 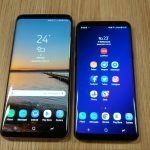 Though Android 8.1 is the latest official platform at the moment, Samsung’s Galaxy S9 range runs on Android 8.0 with Samsung’s User Experience 9.0 on top. Gone is the gaudy crap of early Galaxy S phones, and the inconsistency of Grace UX .. Samsung’s simply named User Experience is simple, elegant, and far from the over-the-top junk that Samsung used to throw on its expensive handsets. The lack of Android 8.1 isn’t a huge thing; the latest security updates are a given, despite not being the latest point release. In fact, there’s remarkably few features for phones that aren’t Google’s own, so Android 8.0 shouldn’t be a concern to you at all. There’s every likelihood that the Galaxy S9 will receive a major update to Android P (probably around end of 2018, early 2019), just as Galaxy S8 owners are receiving an Oreo update at the moment. The inclusion of Treble support – which should make major Android updates significantly quicker and easier for OEMs like Samsung – could, potentially, see the Galaxy S9 updated more quickly, and perhaps for longer. Instead of taking nine months to release a major update, Samsung could conceivably do it in just one or two. Treble is so new, though, that we simply don’t know how it will affect OEM software updates yet. At this stage, I wouldn’t expect the Galaxy S9 range to be updated beyond Android P; unlike Google’s commitment to make its phones useful for three years or so, Samsung is still coming to terms with two. That said, technology – despite not innovating all that much – is moving fast enough that two years is still a long time in smartphones, and in two years time, you’ll be wanting something new. Even Google’s original Pixel is looking dated, and it’s only 18 months old… so don’t panic about the perceived lack of longevity. Besides the camera – which gets its own focus section, below – there’s a few welcome changes from 2017’s Galaxy S8 which make the Galaxy S9 a vastly better purchase. Mostly, they’re little things rather than complete overhauls, but they matter. 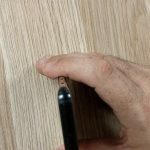 For starters, though Samsung moved the fingerprint reader to the rear in the Galaxy S8 – a very, very welcome change – it did something monumentally dumb. It placed the fingerprint sensor RIGHT next to the camera lens, meaning that most people simply put their oily digits on the lens instead of the fingerprint sensor. Samsung was seemingly aware it stuffed up, as the camera app helpfully reminded users that “oily deposits” left on the lens made for less than ideal photos. In 2018, they fixed that, and the fingerprint sensor is now in a more natural position (and, a more common one too) below the camera sensors. This means that it’s much easier to find with your finger, and it’s thus much harder to get fingerprints all over your camera lens. Some of the stand-out features are little more than gimmicks, but others show that Samsung has listened to feedback and thrown in many useful features that users want. Samsung also slimmed the bezels, worked in stereo front-facing speakers for media consumers, and even threw in a slimline TPU case in the box. In short, most of the things that people had been asking for, or wanting, for years, Samsung has now included. Like I say, these are little things. The TPU case probably costs cents, slimming bezels is (relatively) easy enough to do, and an extra speaker component and working the space to put it … undoubtedly mean engineering, but still, easy enough. Easy, but no less welcome. Other changes – up to you whether they’re welcome or not – include a new colour (Lilac Purple), though the carriers will only be ranging the Midnight Black colour. If you want colours, you’ll need to buy outright from places like JB HiFi or the Samsung stores. The other change – which is probably not welcome – is the pricing. Samsung has kept the premium pricing for the Galaxy S9 range, and it has gone up a bit since last year, too. Last year, the Galaxy S8+ topped out at $1,349. This year, it’s $1,499. For that extra $150 (comparing launch pricing, rather than the much cheaper S8+ today) there’s not a hell of a lot extra. The good thing is that outright purchase isn’t your only choice, and with so many carrier offers and special deals around, the Galaxy S9 can be – despite its significant price – quite affordable. So, those are the little bits and pieces. Let’s look at the camera (or, cameras). First and foremost, the Samsung Galaxy S9 range is the first smartphone to feature a camera with f/1.5 aperture. This directly addresses one of the major pain points with mobile photography; low light shots. Even with the f/1.7 lens used last year, low light photography was hit and miss, and you might well think f/1.5 isn’t that different to f/1.7 .. but you’d be wrong. It isn’t just a fixed f/1.5 aperture though – like point and shoot and DSLR cameras, the Galaxy S9 range has a variable aperture, though in reality, it has only two settings: f/1.5 for low light scenes, and f/2.4 for more everyday shots to stop photos becoming overexposed. What does all this mean? Basically, the Galaxy S9 range can take in up to 28% more light, with 30% less noise compared to the Galaxy S8 Plus it replaced. Samsung has also done some wizardry within the sensor itself, meaning that your photo is actually a composite of up to 12 frames, instead of 3. For the average photographer, low-light scenes will look like someone’s turned on a light, when they haven’t. This camera can produce some of the brightest photos we’ve seen – from absolute nothing – with minimal noise, and it really is quite something special. 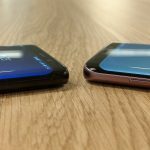 Here is where one of the major differences between the two Galaxy S9 smartphones arises: while the Galaxy S9+ follows from the Note 8 and incorporates dual sensors, the Galaxy S9 has just the one. That second lens is a telephoto lens, which gives it an optical zoom ability without distortion or noise. This second lens does more; it enables the ‘Live Focus’ mode for some stunning blurred background photos which are – sadly – not quite the same calibre as what a quality DSLR can produce, but they’re damned close. If you remember Pixel 2’s Portrait mode, you’re thinking in the right direction, except on the Galaxy S9+, optical trickery is combined with software, and it works exceptionally well (most of the time). It isn’t just night shots and special feature modes that make Samsung’s Galaxy S9 camera so good. It’s a remarkably capable camera in day to day situations too, making light work of landscapes, food, cats, birds, and more. In fact, I’m yet to find a scenario where the Galaxy S9 camera isn’t the best camera around – it simply makes great photos out of anything. It struggles a bit in pitch darkness .. but then again, so does the human eye, and smartphone cameras are nowhere near as capable. The front-facing camera is unchanged from last year though; it’s the same 8MP f/1.7 shooter that we saw on the Galaxy S8. It’s good, perhaps even very good, but it isn’t the star of the show. What is, though, is Samsung’s incredibly powerful and yet easy to use Camera software. This puts incredible power in your hand, while making it easily accessible, which easily trumps what Google or Apple have done with their smartphones. Mode switching is easy – swipe left to right – and switching from front to back cameras is easy too, just swipe up and down. This software enables some of Samsung Galaxy S9’s other party tricks, including up to 960fps slow-motion video, as well as the ability to shoot 4K video at 60fps (though, there’s no OIS or tracking autofocus here), live focus adjustments and AR Emojis. 4K video has been around a while, and Galaxy S9 can shoot in both 30fps and 60fps (though, the latter, it can only do for 5 minutes before it shuts off to save itself from melting down). Drop back to 30fps, which is more than adequate for just about everything, and you get full OIS, autofocus tracking, and you can record for as long as you like. Slow-motion is awesome, and with a bit of practice, can create some visually stunning effects, including some samples I shot at the beach. I will admit it took a few goes to get it working properly, and it really does make you think about what you’re trying to capture … but it’s good fun, and produces very shareable content. The downsides to the slow motion are the 720p HD resolution (you can’t get 4K slow mo here), but if you want 1080p Full HD, you can – but the trade-off is lower 240fps capture.Apart from all these special features, though, the Galaxy S9 offers a great all-round mobile camera, and it takes wonderful photos effortlessly. Put simply, you won’t be disappointed. You’ll be thrilled. Okay then, what will I be disappointed about? You might have noticed we didn’t really mention AR Emoji above. Frankly, as cool as the feature is, it’s a party trick with little practical application. Jason enjoyed it (as you can see on his AR Emoji piece which showed off some emojis created for well-known celebrities, and one orange-skinned buffoon), but I found it a bit silly really, and after one use, didn’t touch it again. I may revisit it when they release more Disney characters to act as, because the kids will love being Mr Incredible or Elastigirl, but beyond that, just nope. 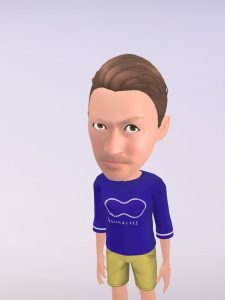 I’ve seen Apple’s version (Animoji) and frankly it’s a better implementation, though it is equally useless (except for hilarious renditions of Queen). Bixby is still fairly .. unhelpful. It does have some neat tricks – for example, in the Camera app, you can point Bixby at a plate of food and it’ll do its best to identify the food and tell you what’s in it (e.g. a name, nutritional value, etc). We tried it out over a table of mixed Spanish tapas, and it did an incredible job of identifying pretty much everything on the table. For this, Bixby is helpful, although probably not something you really need. The rest of Bixby, though, remains somewhat undercooked. Google’s Assistant, its huge range of integrations, various hardware models, and ubiquity across different handsets, tablets, and even my Pixelbook, makes it far more useful, better integrated, and ultimately, useful. I want Bixby to be useful .. but beyond identifying food, it’s just not too handy yet. I won’t begrudge Samsung for trying, because innovation only happens when something new is tried … but it really just isn’t hitting the mark for me. 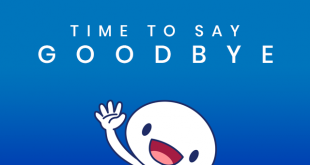 Though the Bixby button remains, you can stop it from launching Bixby every time you press it … and it’s something I suggest you do, unless you really find the service helpful. There’s stuff we can’t cover in this review, because we don’t have it yet. Samsung’s revisited DeX, for example, looks incredible and I can’t wait to take it for a spin and see how it works. I get the strong impression – from the demos we saw – that Galaxy S9 could easily replace a low-power laptop for basic office functionality, but at the price .. one wonders whether it really, ever would. We have a DeX coming, though, and when it does we’ll try it out and show you how it works. There’s a crapload of accessories and cases, too. We’ve got a bundle that we’re looking at, reviewing, and we’ll write them up separately, but there’s a point to be made here too. Being a popular brand – Samsung – and a top-shelf smartphone – the Galaxy S9 or S9+ will sell in big numbers – there will be a lot of available accessories, and this can only be a good thing for consumers. A choice of cases, car mounts, chargers and more is great news, and something that smaller, less-well-known handsets simply don’t ever get. Expect to see waterproof cases, new car mounts, a variety of cases to suit your tastes and more. So, should I buy a Galaxy S9 or S9+? Are they any good? Galaxy S9 has the best smartphone camera going at the moment. It’s better than the Pixel 2, and that was the best. In fact, just about everything about the Galaxy S9 range is better than the Pixel 2 range. As good as Pixel 2 is, it just isn’t inspiring. Galaxy S9’s Lilac Purple colour is beautiful, and you’ll love it. Samsung’s design language is established, comfortable and looks good. If having a phone that looks good is important to you, then you can’t do an awful lot better. For all this, you pay a price premium. Samsung’s Galaxy S range hasn’t been cheap for a long time, and the Galaxy S9 is no exception. You can get started for $1,199, but for the larger (and I’d argue, better) Galaxy S9+, it starts at $1,349, and you can pay $1,499 for more storage. If you’ve got a MicroSD card, don’t buy the more expensive one – it’s unnecessary. That’s what leads us to the downsides. 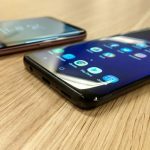 The price is the biggest, but really, it can almost be considered a non-issue – Samsung’s Galaxy S9 and S9+ are available on a range of carrier subsidised plans, and some carriers (like Vodafone, for example) let you pay off the handset in monthly instalments with no plan commitment, so if you want to change, you just pay out the balance of the handset with no price penalty. AR Emoji are a bit pointless, though they can be fun. Bixby remains unfinished, but it has at least learned some useful tricks (telling you what’s in your food, and whether you should eat it if you’re trying to be healthy). Putting those aside, though, the Galaxy S9 is an incredible mobile camera (and the Galaxy S9+ even more so), with a top-notch smartphone included. Smartphones are moving in the direction where it’s the camera which defines how good the package is, and with this lens (pardon the pun), the Galaxy S9 range offers the best. With excellent camera hardware, powerful and easy-to-use camera software, and Samsung’s demonstrated ability to produce a brilliant smartphone too, I don’t mind saying that Samsung’s Galaxy S9 and Galaxy S9+ have laid down the challenge this year, and they’ll be nigh on impossible to beat. 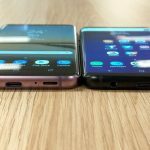 Samsung has allowed Ausdroid to retain the S9 / S9+ to review cases, accessories and software updates. I can’t say its fair to do the S9 and S9 plus int he same review. Heard reports that the battery on the regular S9 is bad. …”include a new colour (Lilac Purple), though the carriers will only be ranging the Midnight Black colour.” I think that it is only the 256gb Lilac Purple that is an outright exclusive. I got my 64gb Lilac Purple S9+ through Woolworths Mobile pre-order. Also, I have both S8+ and S9+ and the S9+ definitely feels more sleek, slightly more premium. Could be the fatter Tech21 case on the S8+ vs the thinner Samsung included case on S9+ but I think it is more than that. More than the design, the Pixel 2 phones are the best smartphones on the market. They have the best cameras, they have the best hardware powering them and they are the smartest phones currently on the market. Not trying to nit-pick… But perhaps we are stuck in a bit of Samsung hyperbole?? Yes and no. I guess the S8 was one of the best phones last year for most of it, but the Pixel 2 certainly gave it a good run for its money. I have little doubt though, overall, the Galaxy S9 is better. It relies on less AI trickery to achieve better photos, and its night capabilities are definitely better. Good job on the joint review fellas. I’ve heard several reports of poor battery life on the SD845 version of the S9+. Just wondering if the battery life on the Exynos S9+ is also poor in comparison to say the Pixel 2XL? Have to say my impression is that the S9+ battery is fantastic. Easily lasts all day even with my usage.